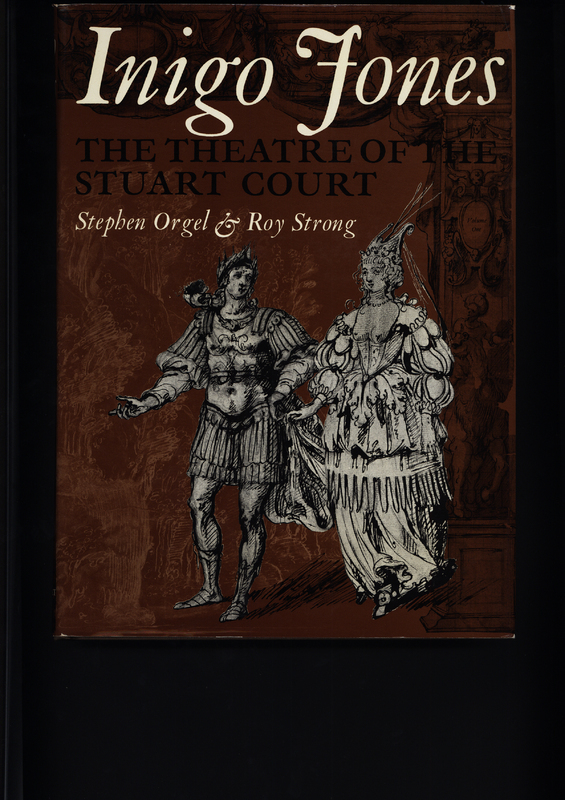 Stephen Kitay Orgel and Roy C. Strong. The Theatre of the Stuart Court; Including the Complete Designs for Productions at Court, for the Most Part in the Collection of the Duke of Devonshire, Together with their Texts and Historical Documentation. [London]: Sotheby Parke Bernet, 1973. The son to a Welsh cloth worker, London-born Inigo Jones (1573-1652) was an architect known for his major contributions to stage design. He introduced movable scenery and the proscenium arch to English theatre. Between 1605 and 1640, he staged over 500 performances. Over 450 of his drawings for scenery and costumes are still in existence today. The illustration shown depicts a man and a woman dressed in the typical lavish theatre attire designed by Jones for stage performances.